There will be two interesting and pertinent discussions at the Trinidad Neighborhood Association meeting on Tuesday, July 26th. The first will be with Dr. Roberta (Bobbi) Cordano from Gallaudet University on GU/Trinidad neighborhood relations. The second presentation will be on energy efficiency by the Washington, D.C. Office of the People’s Counsel. The meeting will be at the Trinidad Recreation Center (1310 Childress St NE) starting at 7:00 pm. On Saturday August 6, 2016, ANC Commissioner Keisha Shropshire along with DC Metropolitan Police Department and DC Department of Parks and Recreation will be hosting a Trinidad Day for the vibrant, eclectic community. 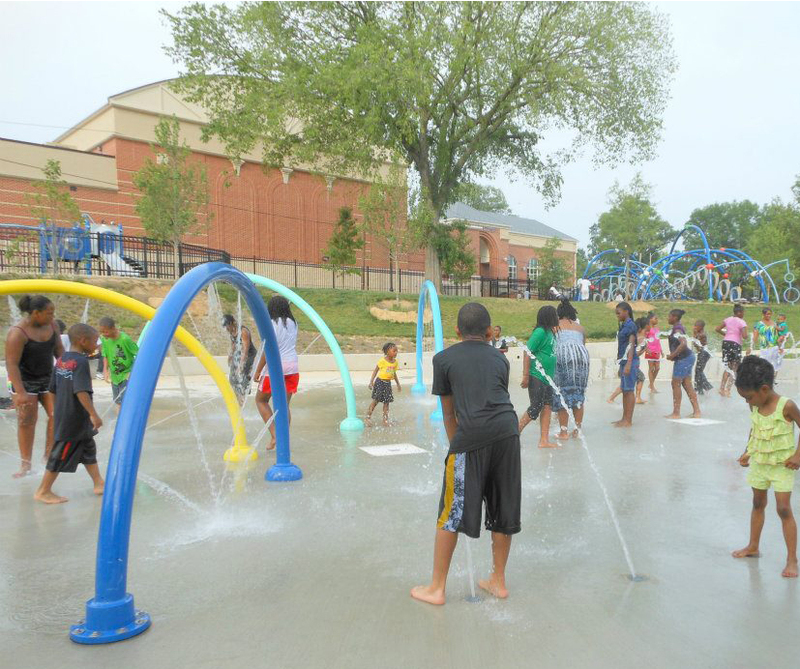 The DC Department of Parks and Recreation will be extending hours for the Joe Cole spray park. The spray park will remain open until 9:00 pm, instead of closing at 7:00 pm on the weekdays. The extended hours will remain in effect until July 29, 2016. You can find additional information on cooling centers and other resources to assist with the heat emergency on the DC DPR web page. Stay cool and help neighbors that may be in need of assistance during the heat wave. The National Building Museum has a new summer exhibit called ICEBERGS where visitors can explore a fantastical glacial sea designed by landscape architects, ascend to a viewing area inside the tallest berg, traverse an undersea bridge or slide down an ice chute, and learn about how design can transform spaces and lives. ICEBERGS is built from re-usable construction materials, such as scaffolding and polycarbonate paneling. The 20′ high “water line” allows panoramic views from high above the ocean surface and down below among the towering bergs. The tallest “bergy bit,” at 56′, reaches to the third story balcony of the Museum. The National Building Museum has Ward Days where members with a valid ID can enter the exhibit free of charge (non-member ticket prices are $16 for adults and $13 for youth/students). The Ward 5 day for free admission to the Iceberg exhibit is on July 26th from 9 am to 11 am. 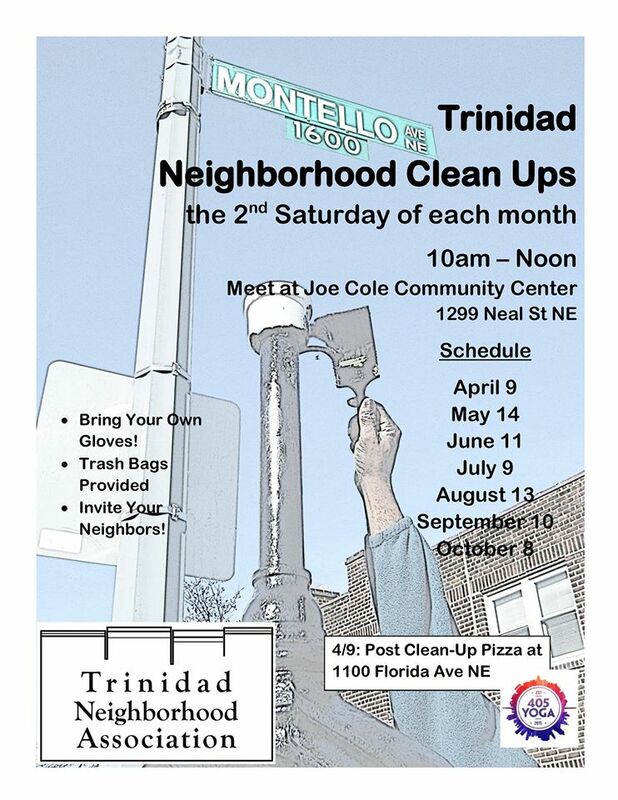 The next Trinidad Neighborhood Clean Up is on Saturday, July 9th. We will meet at Joe Cole at 10 am and move around the neighborhood from there. Bring your neighbors, bring your gloves.